Forza Motorsport 6 Is Coming – Starring the All-new Ford GT! Forza world: Forza Motorsport 6 is coming! 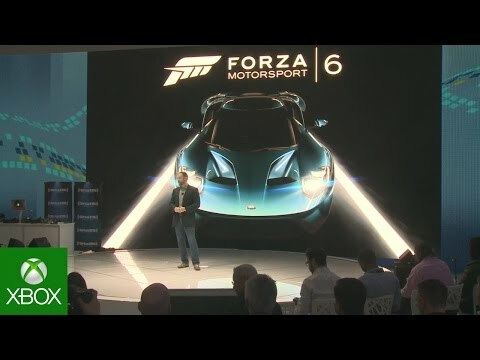 Today, at the North American International Auto Show in Detroit, Microsoft and Turn 10 Studios officially announced Forza Motorsport 6, which is in development and will be arriving exclusively on Xbox One. The news came alongside the announcement of the worldwide debut of the all-new Ford GT, which will serve as the cover car for Forza Motorsport 6. In addition, Ford’s performance vehicle line-up will appear in Forza Motorsport 6. This includes the GT, Shelby GT350 Mustang, and the F-150 Raptor, debuted by Ford earlier today at the auto show. As First in Forza vehicles, Forza fans will have the opportunity to drive these cars when they debut in Forza 6. The announcement of Forza Motorsport 6 kicks off 2015 and the ten-year anniversary of the Forza Motorsport series. This year promises to be the busiest and biggest in Forza history and we’ll have much more to say about Forza 6 and more of our exciting plans in the future. Stay tuned to www.forzamotorsport.net and the official Forza Hub app on Xbox One for all the latest news!